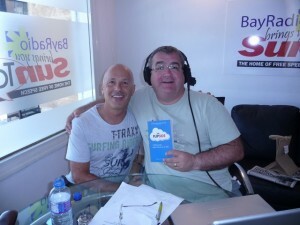 Big thank you to Andy & Dan and all the staff at Bay Radio and Gaunty and his team at SunTALK radio. 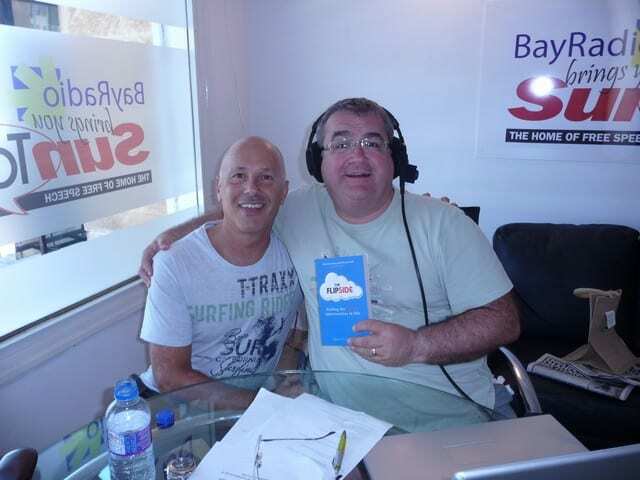 On hearing that Gaunty was presenting his show today live in Javea, I popped down to say hello and give Gaunty a copy of The Flipside. Whilst there, I was delighted to be invited to be interviewed on the show. Love him or hate him, Gaunty is a great, outspoken personality and an incredible radio presenter. I have to say that, aside from likening me to Right Said Fred, he was absolutely charming.